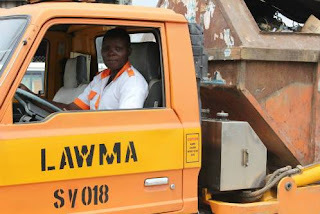 LAWMA's Public Relations Officer, Mr Obinna Onyenali, said that the attention of the authority had been drawn to the unwholesome environmental practices being carried out by traders at the Ladipo Market. "However, these efforts are being tainted by the activities of mischievous persons who would rather dump their waste indiscriminately on the roads than patronise their assigned Private Sector Participation (PSP) operators. "LAWMA condemns in strongest terms this unwholesome act, being perpetuated by the traders of Ladipo Market, as it exposes the environment and the people that do business there to various health dangers. "The authority seizes this opportunity to urge the merchants at the market to turn a new leaf or face the consequences of the Law. "If these heinous acts against the environment continue unabated, the market will be shut till further notice," he said in a statement.